Tokyo Tech., Hokkaido Univ., Ochanomizu Univ., Yokohama Nat. Univ., Yokohama City Univ., Okayama Univ., The University of Electro-Communications, Shinshu Univ., Tokyo Univ. 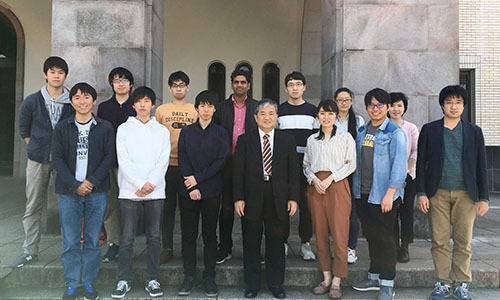 of Science, Niigata Univ., Doshisha Univ., NIT Toyama College, Chiba Univ., Kyushu Tech., Rajshahi Univ., Kyushu City Univ., Chuo Univ., Kansai Univ., Meiji Univ., Shibaura Tech., Kitazato Univ., Kanagawa Tech., Kumamoto Tech., Shizuoka Univ., China University of Mining & Technology, DongHwa University, Dalian University of Technology, Kyushu Tech.